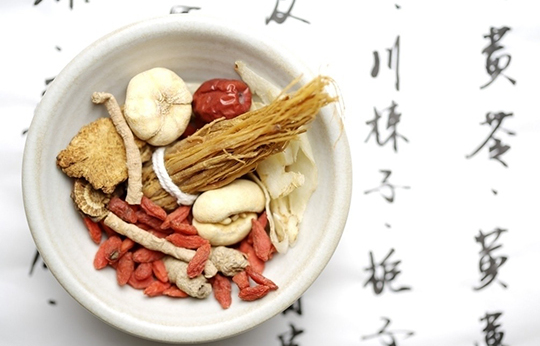 TCM as Traditional Chinese Medicine including herbal medicine. Traditional Chinese Medicine, as known as TCM, is a type of medical practices based on “yin and yang” and “the five elements”, or “五行Wu Xing”. 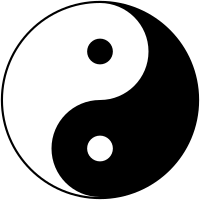 Yin and yang in ancient China are two opposing elements; the balance between yin-yang is important to human bodies and health. In TCM, the basic concept of being sick is the result of the imbalance of yin and yang. 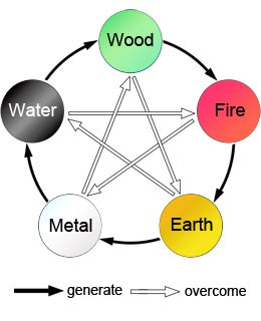 The five elements including metal, wood, water, fire, and earth, which human organs are theoretically categorized into. The five elements represent different parts of organs and the interactions among the five can affect people’s body functions. TCM emphasizes the conflicts and promotions among yin-yang and the five elements because they are related to the “energy” (气, Qì) and circulations in our bodies. Simply put, the balance and interactions among internal organs and the external environment influence our health. 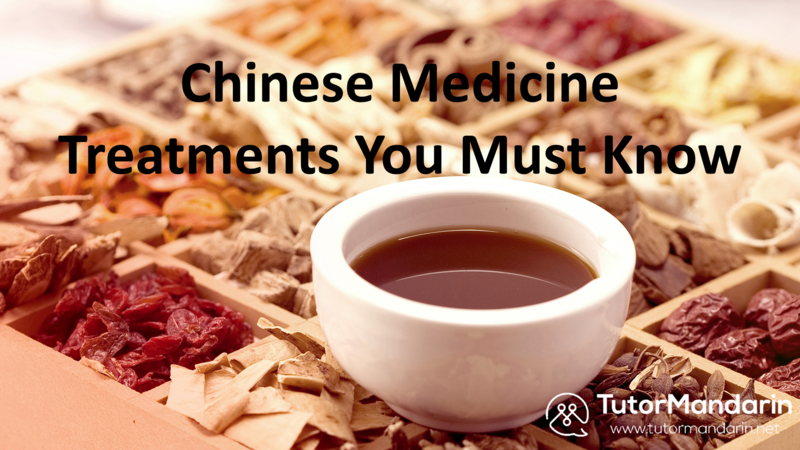 One of the most obvious differences between TCM and Western medicine is the prescription. The sources of Chinese medicine are mostly made of plants and herbs, plus some of them are from animals. Chinese herbal medicine includes four natures and five tastes, which categorize the herbs according to temperatures and flavors. For example, hot, warm, cool, cold as four natures and sweet, bitter, sour, spicy, and salty as five tastes. Chinese herbs are not only taken when people are sick but just caring for our health in daily lives. 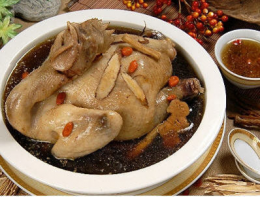 There are delicious dishes that are stewed with herbs that are really good for our health, for example, four-substance chicken soup, one of my favorite. Main effects: relax internal circulation, promote blood circulation, a common therapy for heat stroke. Like mentioned at the beginning, when people suffer from heat stroke, gua-sha is a common and effective therapy. Gua-sha means “scraping the skin until the sha comes out”, aiming at balancing the energy and the blood flow in your body. The way to practice gua-sha is to scrape on people’s skin with a smooth-edged instrument or coins. “Sha” is a kind of substance considered “blocking” your internal “Qì” and blood circulation. Usually, gua-sha would cause some bruises on your skin, and that means the “sha” are coming out of your body. Main effects: promote metabolism and expel toxic substances. Acupuncture is a therapy that the thin needles inserting to the body. Based on the symptoms, TCM doctors would practice acupuncture on different acupuncture points, or acupoints, in your body. Acupuncture is an effective and fast way to make patients feel more comfortable because it directly functions on the meridian in your body. Similar to gua-sha, acupuncture focuses on clearing the meridian and blood flow in your body. In my own experience, acupuncture is not that scary or hurting as it seems. You would feel soreness and ache when the needles are inserted into the acupoints, but you’ll get used to it very soon. Some people may be “allergic” to the acupuncture treatment, we call it “晕针, yùn zhēn”, meaning “feeling dizzy to the needles”. Therefore, if you felt uncomfortable during the treatments, you should tell your doctors right away. In addition to curing sickness, acupuncture is also popular in losing weight. 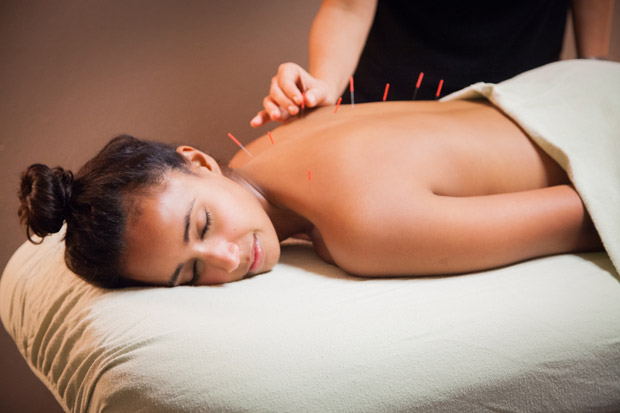 Since acupuncture stimulates the acupoints in your body and boosts your metabolism. Research shows that the effectiveness ratio of using acupuncture to lose weight has reached 85%. However, not everyone is suitable for this kind of treatment, better ask your TCM doctor first. Main effects: help with blood flow, pain, and inflammation. The cupping therapy is one of the TCM that creates a suction and vacuum on the skin. The types of cupping therapy include dry, wet and fire cupping. The cup would stay on your skin to create a vacuum, which makes your skin rise in the cup and causes bruises. The treatment aims at comforting symptoms like inflammations or partial pain. The theory is similar to above, to clear the blood flow, your meridian and remove toxins. Different treatments in TCM are in fact follow the core theory, the balance among yin-yang and the five elements. That is to say, the balance in your internal organs as well as Qì and blood flow relaxation. Although TCM has a lot different with western medicine, there are actually some integration and complement between the two. No matter which types of medicine and therapy you prefer, they usually have side effects. Usually, pregnant women should not adopt most of the TCM therapies above due to safety. Therefore, make sure your health conditions are suitable for the medical treatments beforehand. Do you want to know more about Chinese cultures, knowledge, and language? Don’t forget to sign up our free trial to learn Mandarin and download the Chinese App for more Chinese language materials and to learn Mandarin online! This entry was posted in Chinese Language Learning, Chinese Survival Skills, Funny China, Understanding China, Understanding Chinese Culture and tagged acupuncture, China, cupping therapy, gua-sha, intermediate, Language Learning, medicine, survival, Understand China. Bookmark the permalink.